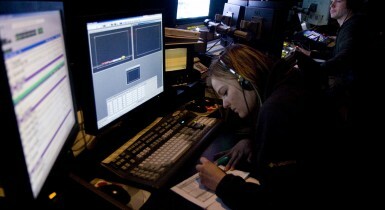 The Missouri School of Journalism has both merit- and need-based scholarships for our students. Students do not apply for a particular scholarship. You need to fill out two forms available on the MU Student Financial Aid website that will help help us rank applications according to merit and need. Students are then matched with the appropriate scholarship(s) from our pool. Merit is determined based on students’ past academic record and test scores. Need is determined by completion of the Free Application for Federal Student Aid (FAFSA). There are two scholarship/financial aid forms students need to fill out each year to be considered for journalism scholarships. The FAFSA form determines your eligibility for all types of aid, including scholarships, loans, grants and employment. The MU Annual Scholarship Form: Students are only considered for journalism scholarships (both merit and/or need) after they fill out this form. The detailed questions on the MU Annual Scholarship Form allow the School to match students with appropriate aid and scholarships from a pool of endowed journalism scholarships. Once you have filled out both the FAFSA form and the MU Annual Scholarship Form, you have done everything you need to do to be considered for journalism scholarships. Your financial aid package from the MU Office of Financial Aid will include monies from all available sources.